Scott Patterson's band SMITHRADIO, performed at The Bean in New York City Tuesday night. Certain things just go better together. Two of those things are Gilmore Girls and coffee. 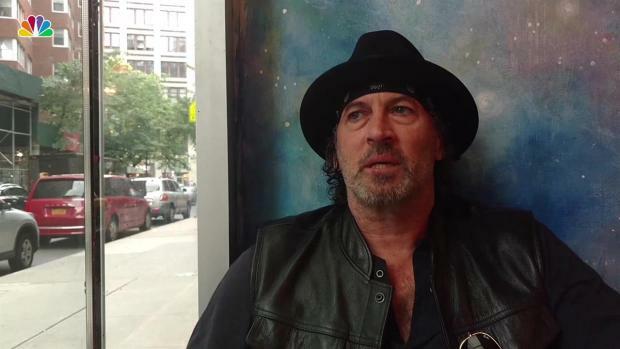 So it makes sense that Scott Patterson, who played Luke Danes on the hit show, would play his “Atomic Love” tour in a series of coffee shops across the country. The tour came to New York City Tuesday evening. Patterson’s band, SMITHRADIO, played the first of a their shows in the Big Apple Tuesday evening at The Bean on Broadway to a sold out crowd of 30. Patterson performed seven original songs and shared several annecdotes as he strummed along on his goblin sticker-covered guitar. 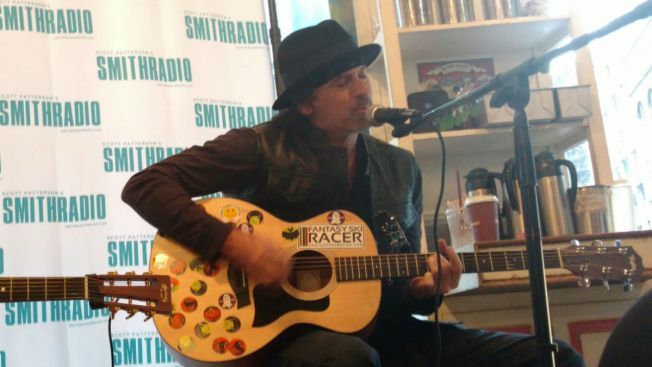 Scott Patterson's band, SMITHRADIO, brought their coffeehouse tour to New York City Tuesday evening. “This is my introduction to the music community, somewhat, so I wanted to try and lead with some of the better songs that are deeply felt. And I think that’s appropriate for a coffee shop,” Patterson said. The “Atomic Love” tour may be Patterson's introduction to the music scene, but he says he has been a songwriter since his teens. One song he performed Tuesday he wrote when he was 15 years old, while others he wrote just a few years ago. All the song choices combined with the intimacy of the venue allowed Patterson to be open and honest with attendees. After one song, Patterson revealed how David Bowie’s death “hit him like a ton of bricks,” and how the birth of his son changed him. His vulnerability at Tuesday night’s performance was a stark departure from his Gilmore Girls counterpart Luke Danes. Even though the concert was not a Gilmore Girls event, the love for the show was palpable. Several audience members were sporting Luke’s Diner shirts. Sadly for Gilmore fans, Patterson said he had no update on the prospect of another season on Netflix. “I never heard anything, I don’t know anything. I am hoping [it happens] for the fans, of course, but I don’t know,” Patterson said. The coffee shop tour is a unique choice. The tour consists of Patterson and his co-guitarist performing in more than 21 coffee shops nationwide in just about three weeks. Patterson says he chose the coffee shop format so he could play for his fans as soon as possible. He says putting together a full band tour would have taken between six to nine months, at least. You can find a show near you here.